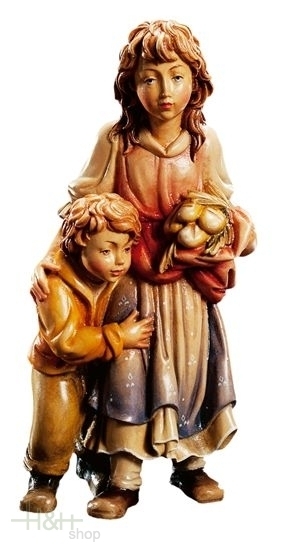 Sheperdess with child - Sculpture in wood of the Matteo Nativity. Sheperd with ducks - Sculpture in wood of the Matteo Nativity. Sheperd with basket - Sculpture in wood of the Matteo Nativity. Angel with trumpet - Sculpture in wood of the Matteo Nativity.